The 1872 Act apparently remains in force today and it is illegal to be drunk in charge of a horse, a cow or a steam engine, with a possible penalty of £200 or 51 weeks in prison. 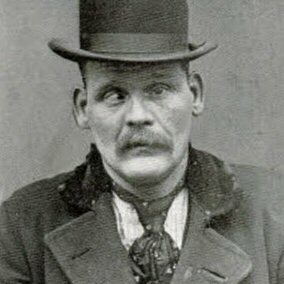 Under the Act some drinkers became infamous “bona fide travellers”, who could be served outside of normal trading hours. Travelling in good faith meant that you should not be “travelling for the purpose of taking refreshment”, but you could be “one who goes into an inn for refreshment in the course of a journey, whether of business or pleasure”. While people posing as travellers were regularly charged and prosecuted, it was difficult to prosecute licensees who had a handy escape clause in the law. To find the publican guilty, the prosecution had to prove that the licensee did not “honestly believe” that his customer was a bona fide traveller when serving outside of normal opening hours. The Queen Adelaide in Hastings, a ’fishermen’s pub’, was granted a 5am licence in 1872 along with other pubs in the fishing community like the Anchor, the Queen’s Head and the Albert. The 5am licence lasted until the First World War when the Defence of the Realm Act severely cut back pub opening hours. They applied for an exemption from the D.O.R.A. restrictions so that they could continue serving local fishermen. The exemption was refused. However, the magistrates said they could serve bona fide travellers and as far as they were concerned fishermen on boats returning from fishing trips were just that and could be served !! However, the ‘fishing pubs’ around Hastings Stade were warned that this did not apply to the fish wholesalers who congregated there in the early mornings, to the Hastings ferry man or to employees and others on pleasure boats. In the same year the magistrates found that London ‘Printers excursionists’ were coming into the town on a Saturday and being treated by landlords as bona fide travellers for the whole weekend. It was decided that “when they stopped on Saturday night, they ceased to be travellers” and could only be served out of hours as lodgers where they were staying. Later in the 19th century a constable found three men in the bar of the Pilot drinking Porter, rum and milk on a Sunday morning at 9.20am. In court the landlord said he had “opened the door to sweep out the bar and a “higgler” (i.e. a peddler), walked in“. As the man had walked 7 miles he thought he was a “bona fide” traveller. The other two were lodgers and the case was dismissed. In 1910 two men from Hastings knocked at the door of the Bulverhythe pub in the western district of Hastings, at 11.15am on a Sunday morning and asked to be let in as ‘travellers’. The normal opening hours were from 12pm but this did not apply to those who had ‘travelled’ a distance of at least three miles. The case was adjourned so that the magistrates could determine the actual distance. After a lot of measuring they decided that the distance the two men had travelled was two hundred yards short of the required three miles !! When they were re-summonsed the case was dismissed.